Several years ago, I came across an image of a plate that moved me. 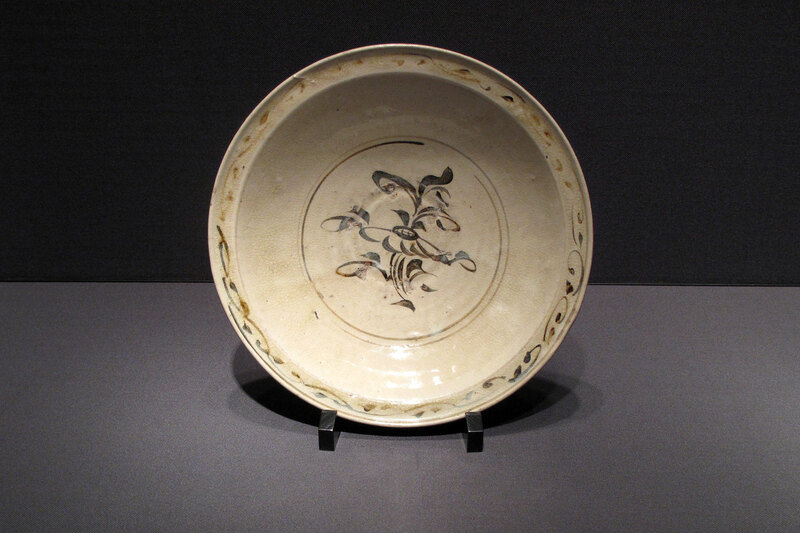 The plate had stamp marks and lines inlayed with white slip on a rich, dark clay background. 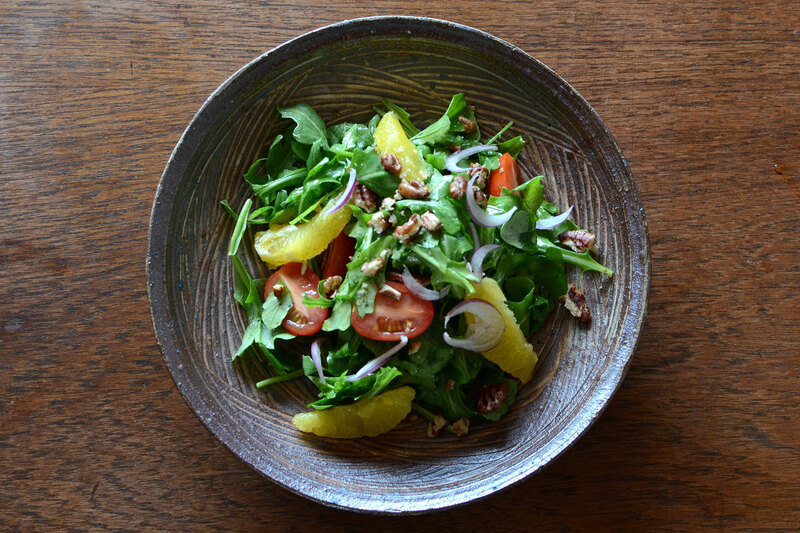 The plate had a restrained and earthy beauty with powerful appeal. I initially thought that it must be old, but it was new and even more surprising was that the plate was made by Inoue Shigeru, who at the time was an office worker living near the city of Nagoya and was making pottery in his spare time. 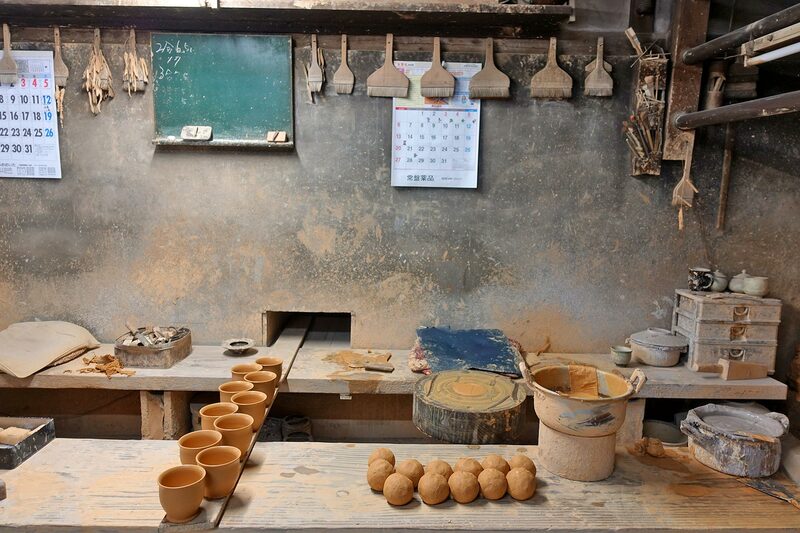 “People said to me, you are crazy,” said Inoue-san, a slight man with gentle manners as he showed me the clay making area in his apartment’s back yard on a visit this past November. 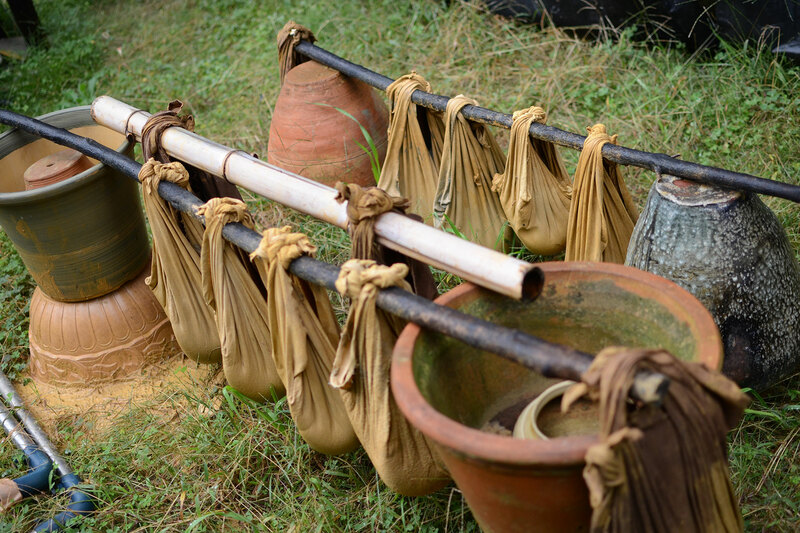 “I wanted to make pots like the beautiful Korean Kohiki (Buncheong) wares, but only by using natural materials, and it was horribly difficult,” he laughed. Some professional potters told him such efforts were stupid because it made no significant difference to the results which he disagreed with. 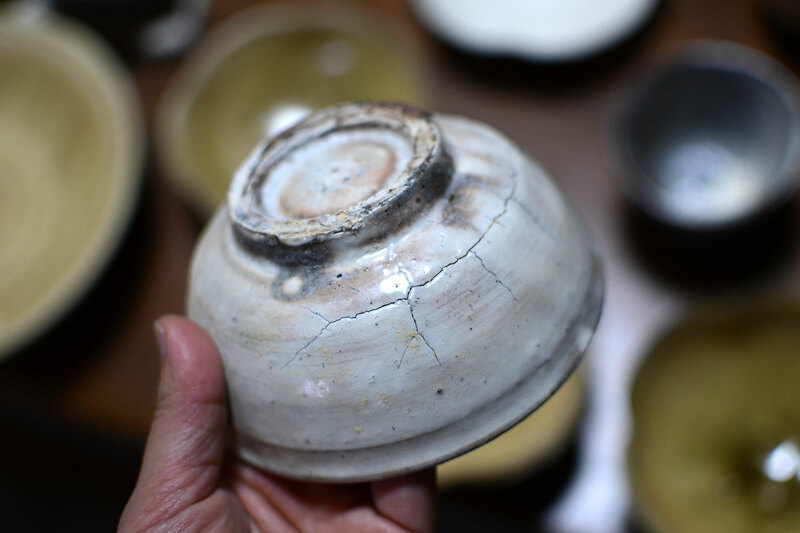 Most Kohiki potters adjust the slip with refined chemicals because a slight incompatibility with the underlying clay can cause the slip to peel off or crack. 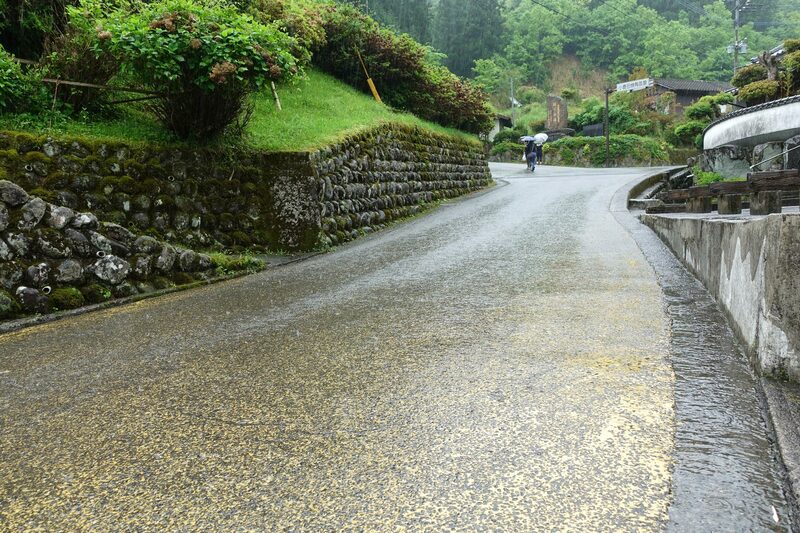 But Inoue-san was adamant about using natural feldspar, because he believed that pure chemicals, although they are much more stable, “wouldn’t give the same effect as natural slip.” He is also particular about using weathered feldspar that are naturally exposed to rain and sun and harvested in nearby Gifu prefecture. Predictably, Inoue-san’s Kohiki work failed miserably in the beginning. 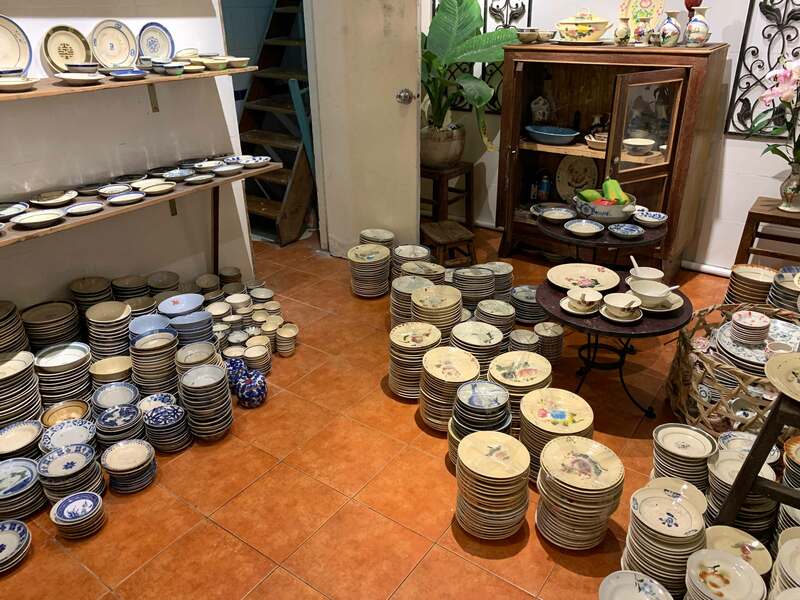 “Sometimes my pots all collapsed. Then I got a little better and managed to slip the wares, but the slip peeled off or cracked in the firing.” Inoue-san shook his head as he recalled these tough testing years. 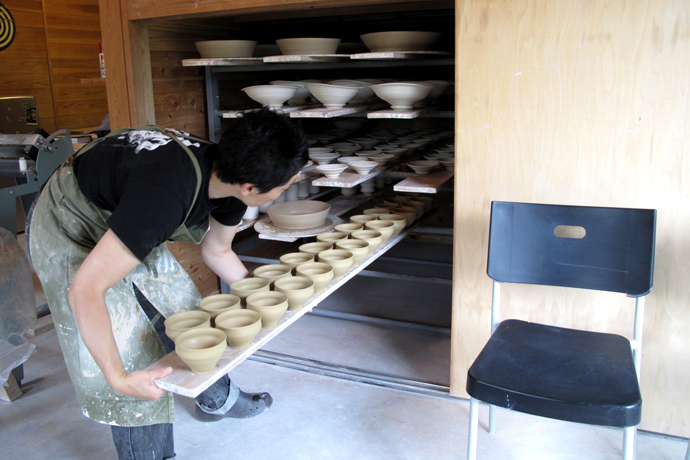 Inoue-san holding the collapsed plates with ash glazes that came out of the kiln. 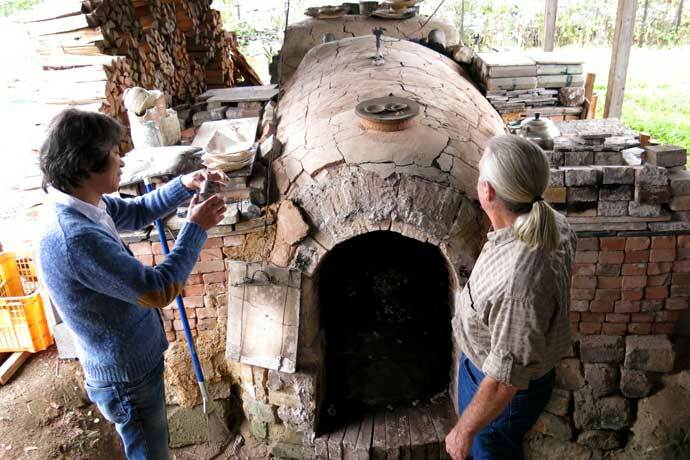 The clay he works with has low refractoriness. He jokes that it was a spectacular failure. 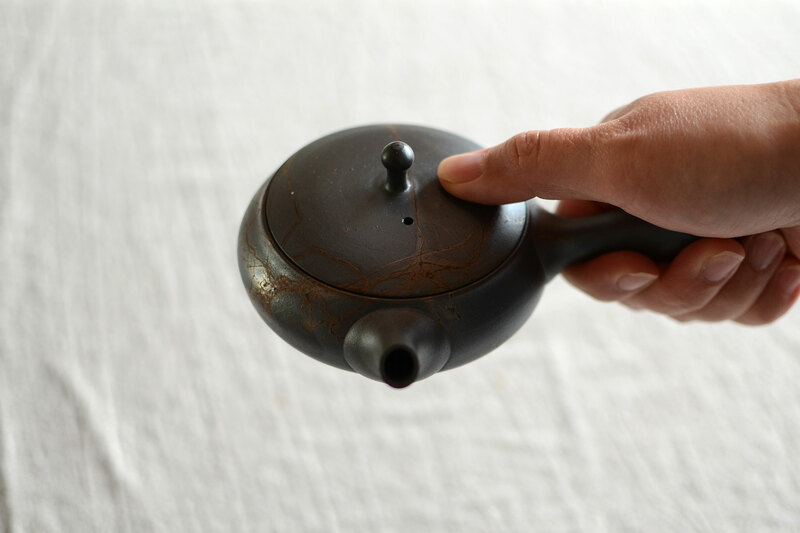 After many failures, Inoue-san decided to regroup and instead of completely coating the surface, he started brushing a thin layer of white slip onto the stamped or carved surface of the dark clay and scraping off the excess that made the slip adhere to the clay better. 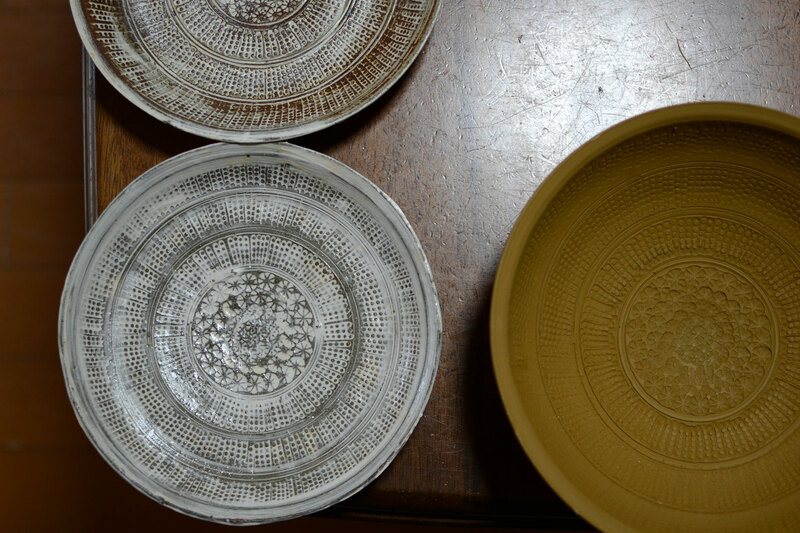 These slip decoration styles are called Mishima because, according to one theory, Japanese tea masters who prized the original 15th Century Korean Buncheong ware in this style thought the patterns resembled the famous Mishima calendars published in Izunokuni (Shizuoka prefecture today) from the Kamakura period (1192-1333). 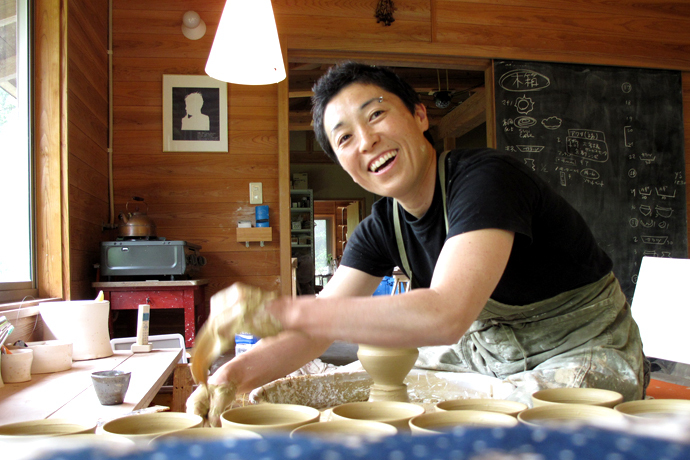 Inoue-san’s pots shrink by about 20% in the firing, far more than processed clay. He thinks this is because processed clays are pulverized and are much more dense than the natural clay that he’s works with. 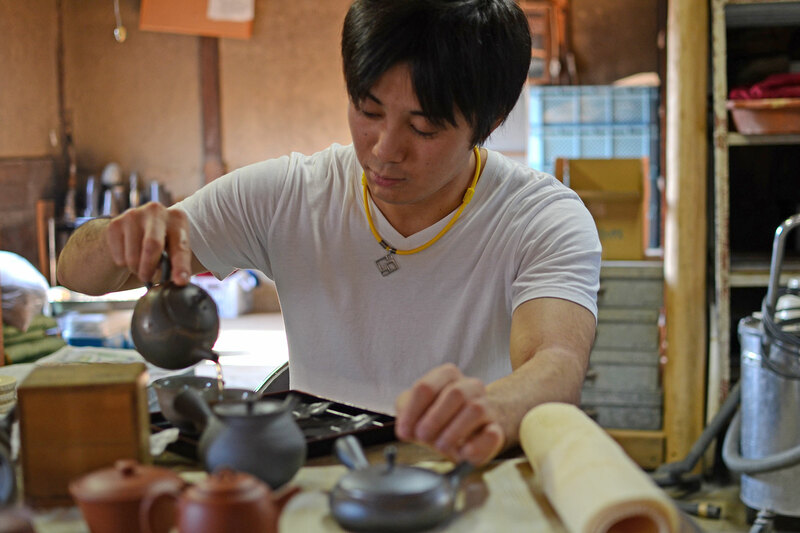 Inoue-san’s work slowly became more successful, and as he shared his progress on social media, his work started to receive plenty of support from followers. 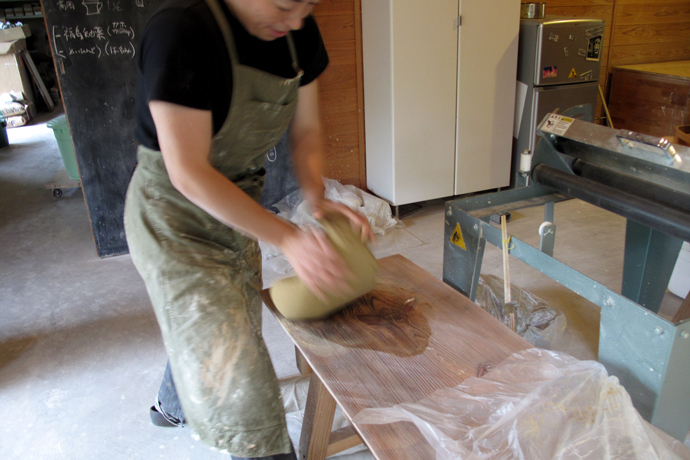 Inoue-san never thought at the time that he would be a full-time potter. But after several acclaimed receptions at gallery shows around Japan, he decided to quit his office job 2 years ago. Inoue-san now is creating a truly original body of work unlike anything I have ever seen. 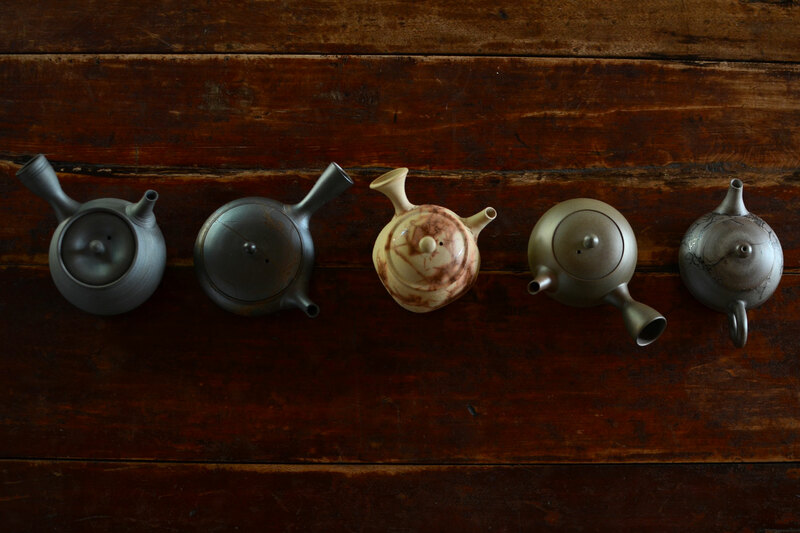 No two pots are the same, but each one is a perfect background for serving food. You can see his enthusiastic fans serving up on his vessels through social media. 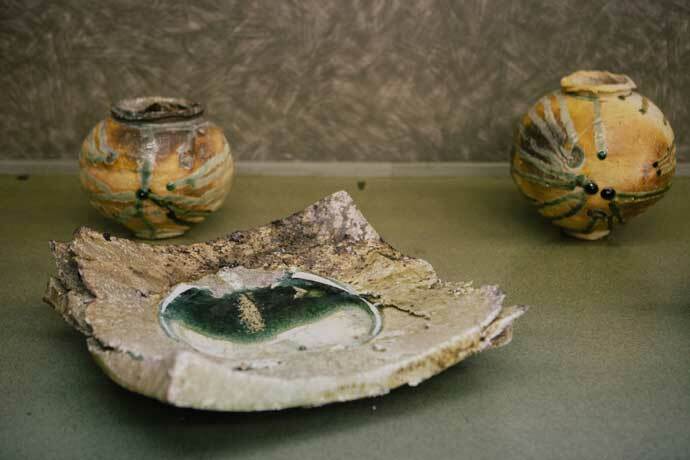 Ceramics offer a fascinating window into Japan’s turbulent past and Nabeshima pottery is a captivating example of how history and pottery comes together. 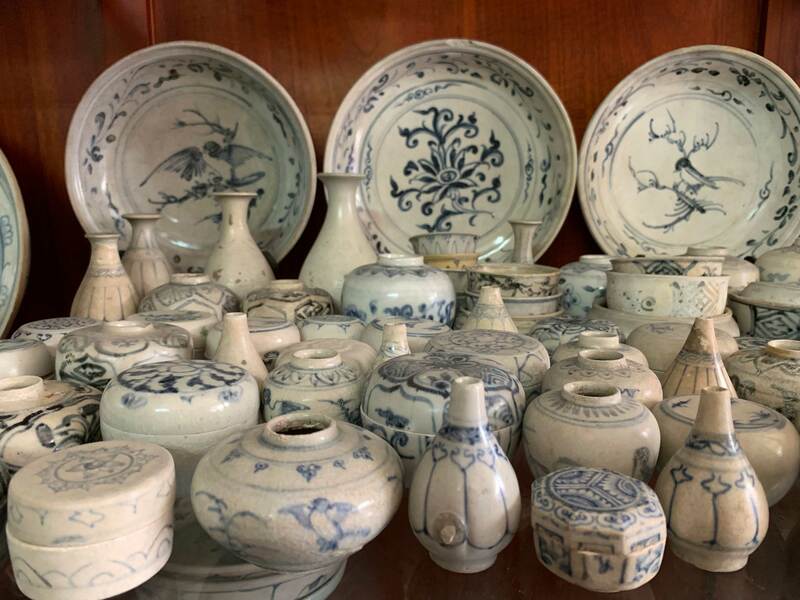 The fortunes of this elegant and noble style of ceramics mirror the ups and downs of Japanese history over the past four centuries. 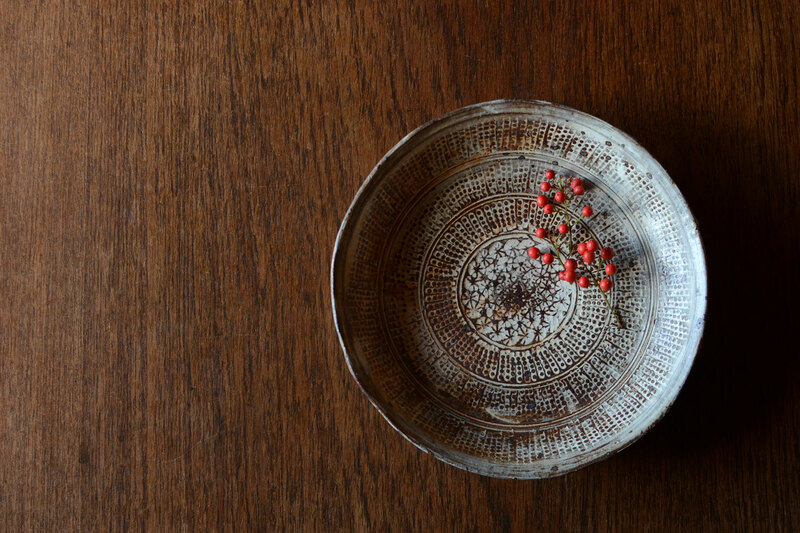 Nabeshima ceramics originated from Arita in Saga Prefecture on Kyushu around the time when porcelain ware was first produced in Japan by Korean potters. 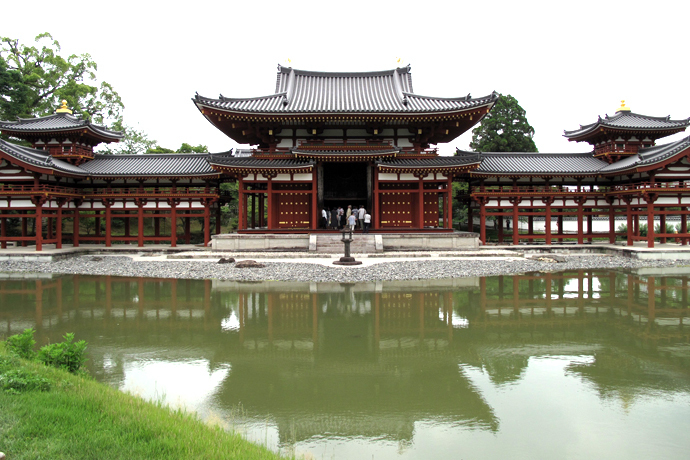 The potters were brought to the country after the invasion of Korea by warlord Toyotomi Hideyoshi around 400 years ago. 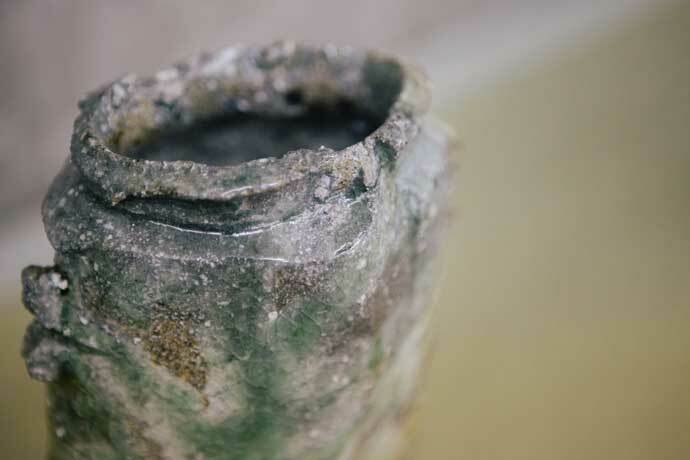 It is also believed that Chinese ceramics traders from Imari, not too far from Arita, introduced the overglaze enamel technique to this region during this period. 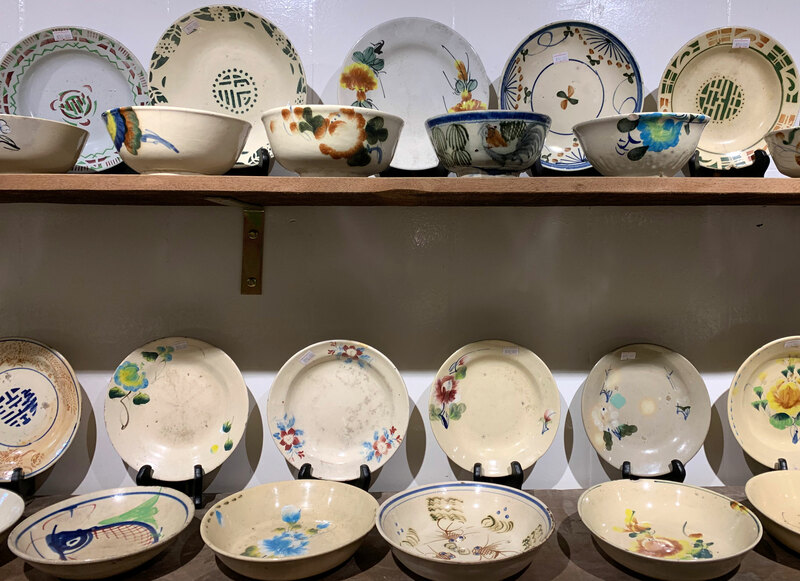 The Nabeshima kiln was established in the middle of the 17th Century as the feudal kiln of the local Nabeshima clan, who brought together the best craftsmen in the region to produce high quality porcelain tableware. Decorated in blue-on-white underglaze, or multi-colored overglaze enamel (known as Iro-Nabeshima) or celadon, Nabeshima ceramics were only produced as gifts for the ruling shogun family and feudal lords during the Edo period (1603-1867). 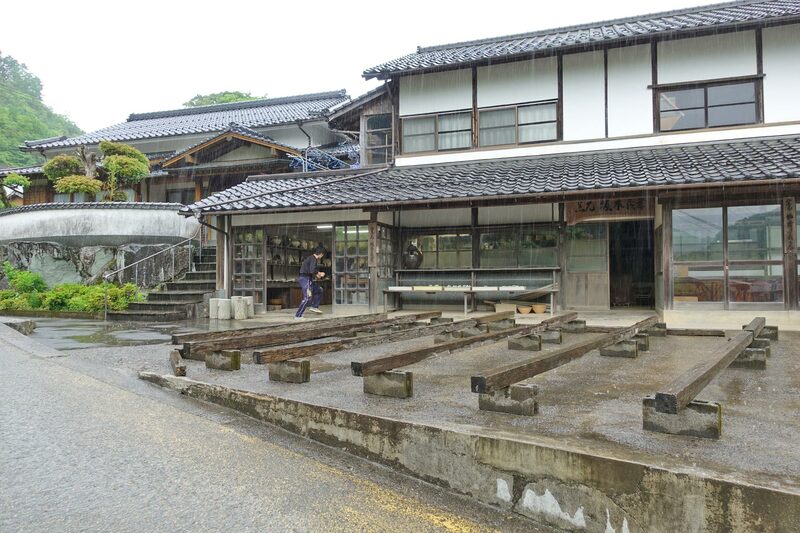 As a consequence of this tightly held circulation within the privileged elite, Nabeshima pottery was largely unknown to the general population until Shogunate rule ended with the Meiji Restoration in 1868. 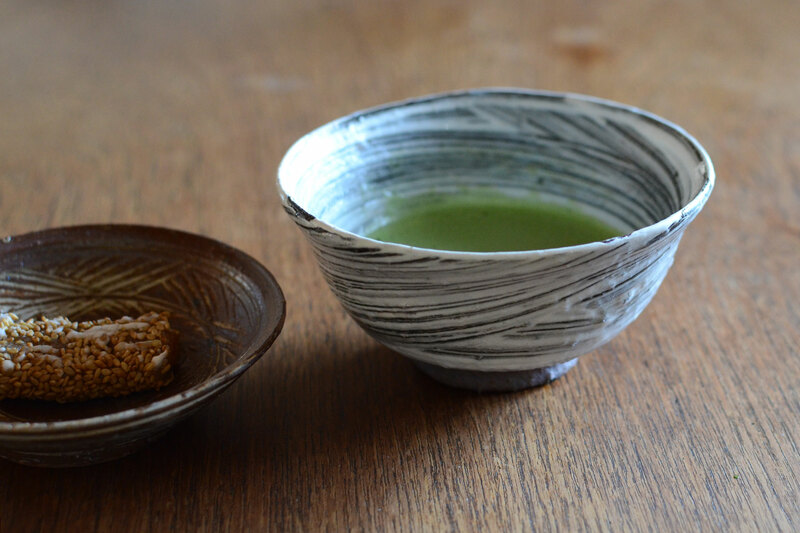 My preference for ceramics styles that possess the essence of uncalculated spontaneity rather than precision and perfection meant that I initially found the meticulous beauty of Nabeshima rigid and difficult to appreciate. But my perspective changed during a visit to the Tokyo National Museum when I saw an Iro-Nabeshima plate with Flower and Raft design. Although the plate was made in the 18th century, the enamel colors of red, green and yellow were so bright and vivid against the beautiful cobalt underglaze. 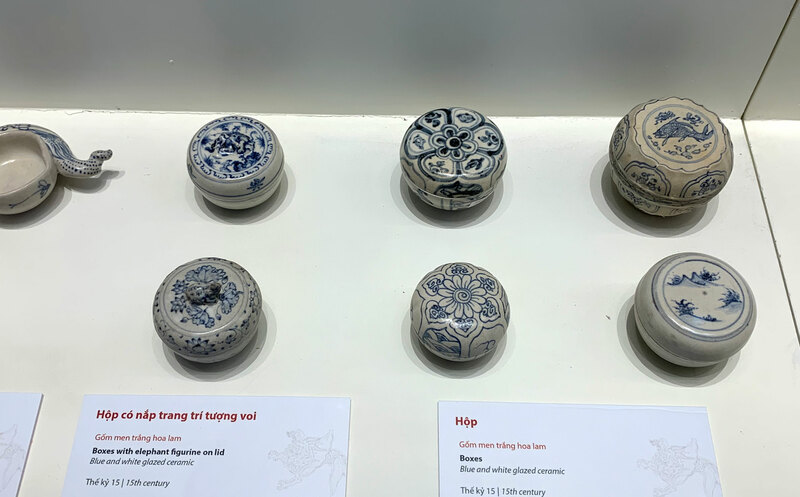 It almost seemed like the air surrounding the plate was a little clearer than the rest of the museum –and I swear I was not inhaling any questionable substances at the time! The plate’s bold design possessed a unique sense of clarity and pride unlike any other ceramics work that I have seen. 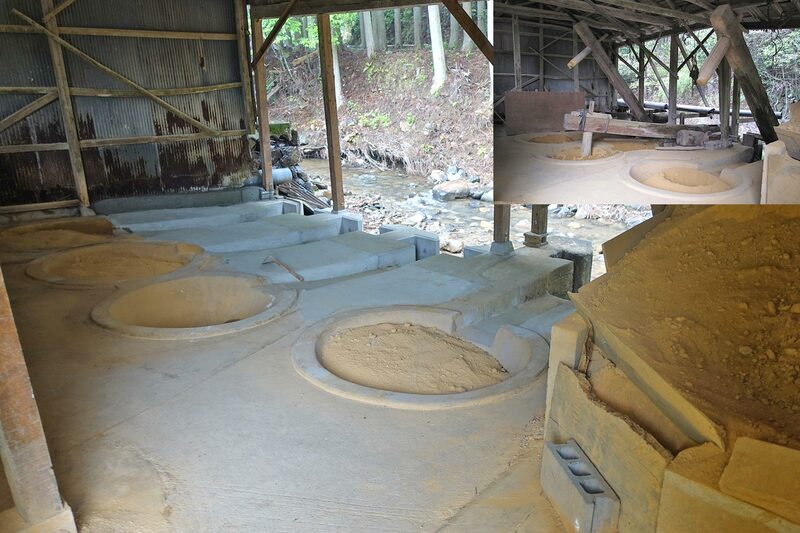 So I was excited when the opportunity arose in the spring of 2013 to visit the Imaizumi Imaemon Kiln in Arita, which is carrying on the tradition of the making of Nabeshima ceramics. 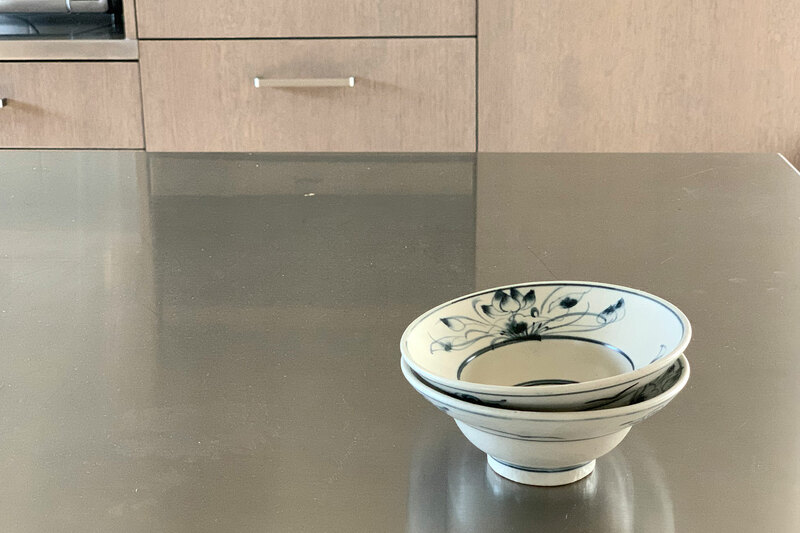 The Imaizumi Imaemon family has a long and illustrious history that dates back to the Edo period when it was first commissioned as the Nabeshima’s official overglaze enamel artisan (or Akae-shi). For over 200 years, the family enjoyed the financial support of successive feudal lords. 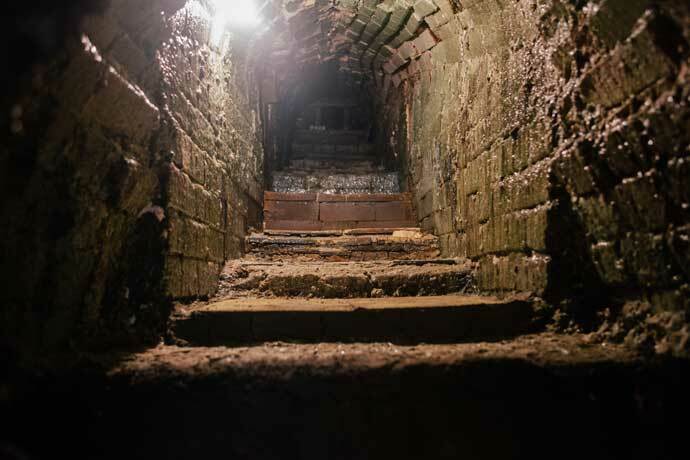 However, when the feudal fief system was replaced with the prefectural administrative system in the Meiji era, the Nabeshima kiln collapsed with the ending of shogunate largesse. 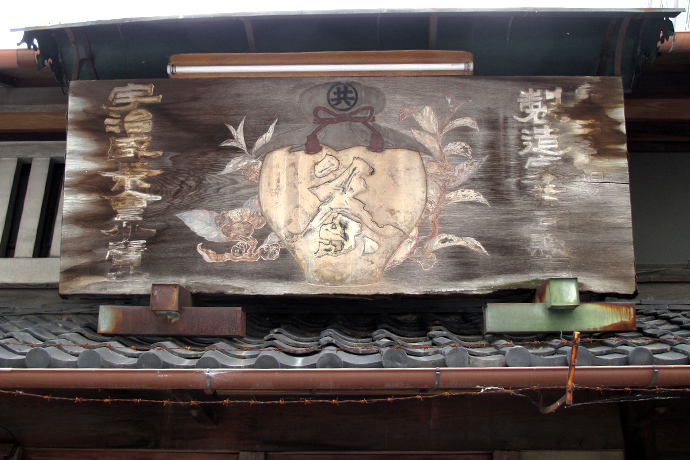 The 10th generation master painter Imaemon, who was the family patriarch during this crisis, decided to do whatever was necessary to preserve the technique for the production of Iro-Nabeshima. 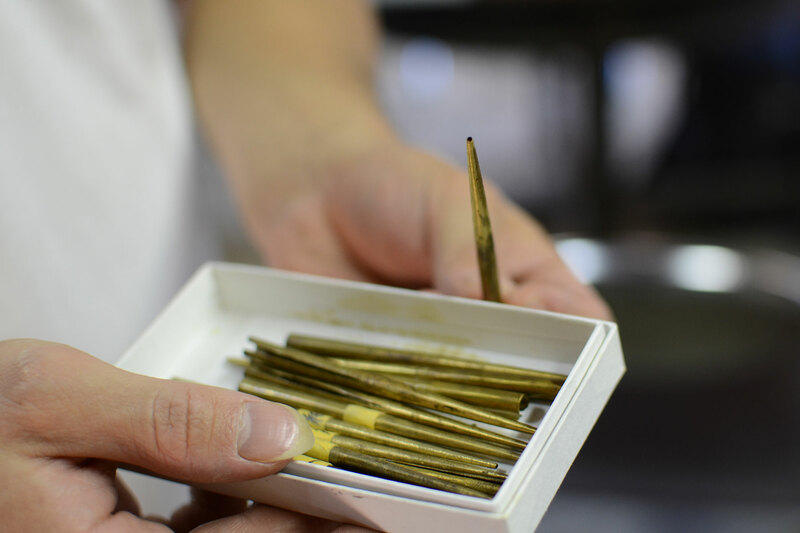 From scratch, the family had to painstakingly learn forming and firing techniques, which took many years and only began to bear fruit in the early 20th Century under the 12th generation Imaemon. For this enormous accomplishment, the Imaemon kiln was recognized as an important intangible cultural asset by the Japanese government in 1971. 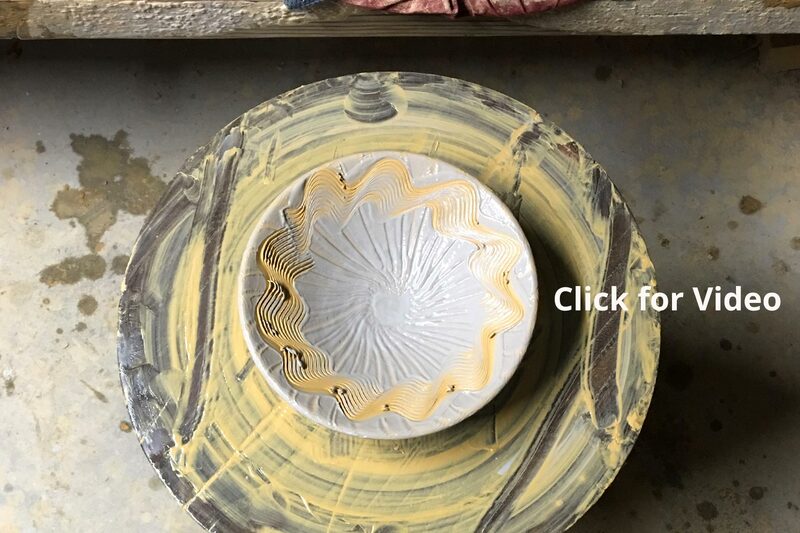 During my visit to the kiln, which is located in the Akae-machi (overglaze town) district of Arita, I saw a craftsman trimming a porcelain bowl and carefully measuring it to its required exact weight on a scale. 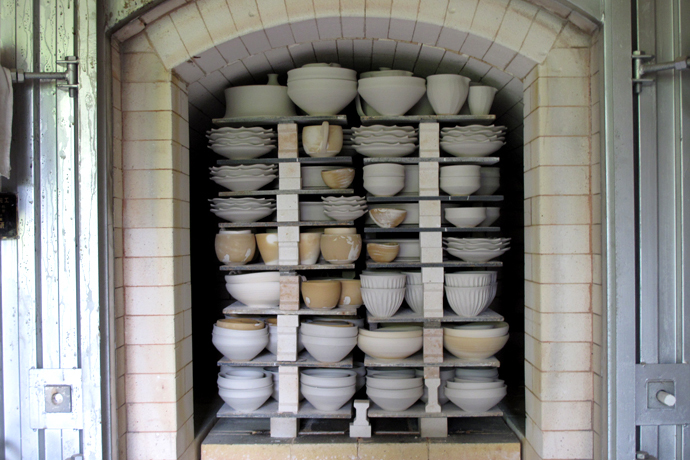 The kiln was loaded with numerous saggars that encased the pieces to protect them from ashes of pine wood used for firing. 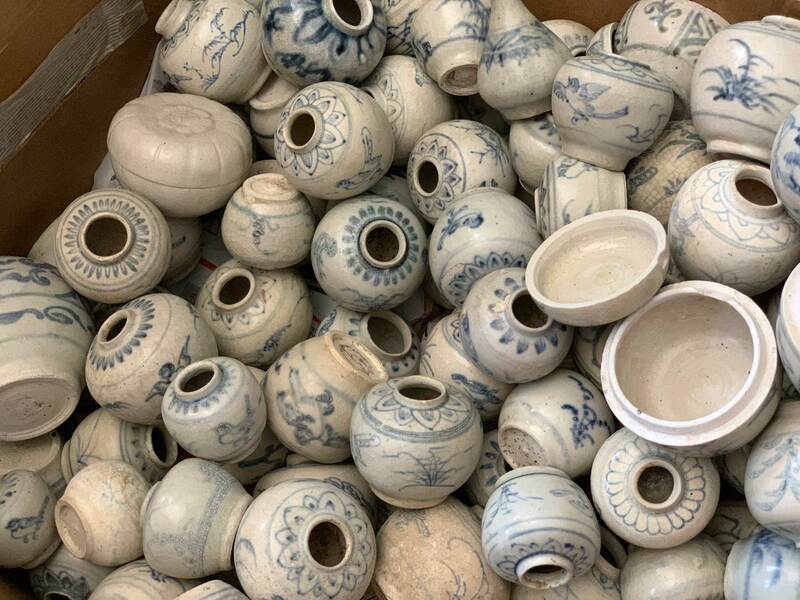 One noticeable sight was the piles of rejected bisque wares, many of which were discarded for the slightest hints of flaws. 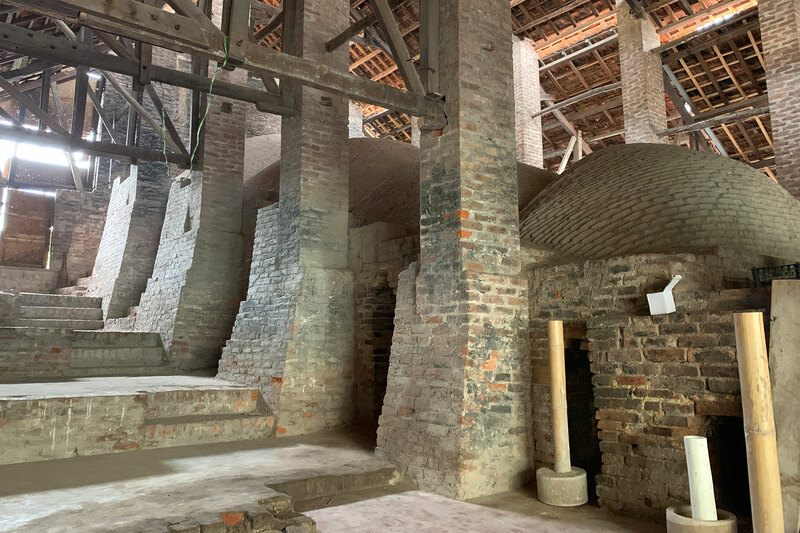 It was clear that precision and design perfection is of utmost importance, which is a rare quality in Japanese pottery kilns that tend to focus on extemporaneity and simplicity. Imaemon’s formulas for glazes and their application techniques are still closely-held secrets that are handed down to only a single son of each generation who takes over the name of “Imaizumi Imaemon”. 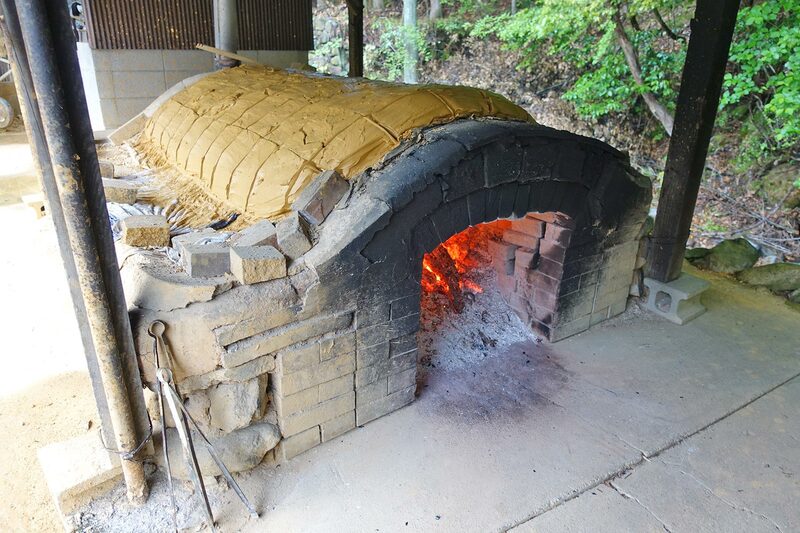 The kiln today produces two distinct lines of Iro-Nabeshima, the first of which are created in line with the traditional style of Iro-Nabeshima by over 30 craftsmen. 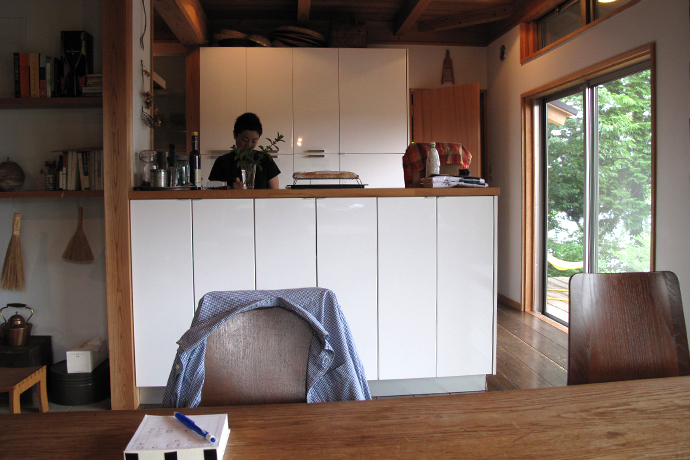 The second line is of a modern Iro-Nabeshima created by the current 14th generation Imaizumi Imaemon. 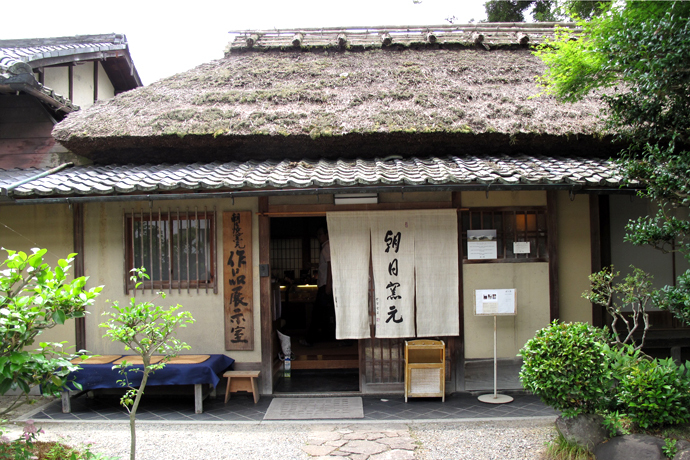 If the opportunity arises, I would highly recommend a visit to the Imaemon museum or shop in Arita. They also have a satellite shop in Tokyo. 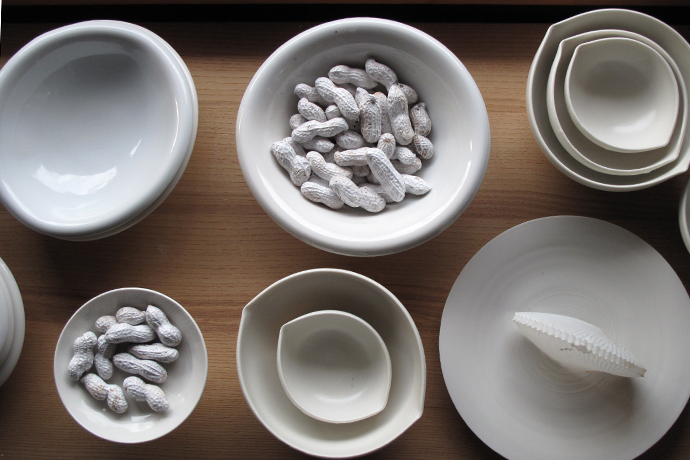 Imaemon’s work is unequivocally stunning, with striking designs, pristine lines, and clever use of the white spaces of natural porcelain. Even if the pricing may seem out of reach for many, including myself, it is still a sheer delight to be able to see this fine work and to pick out a favorite piece you would have liked to take home. 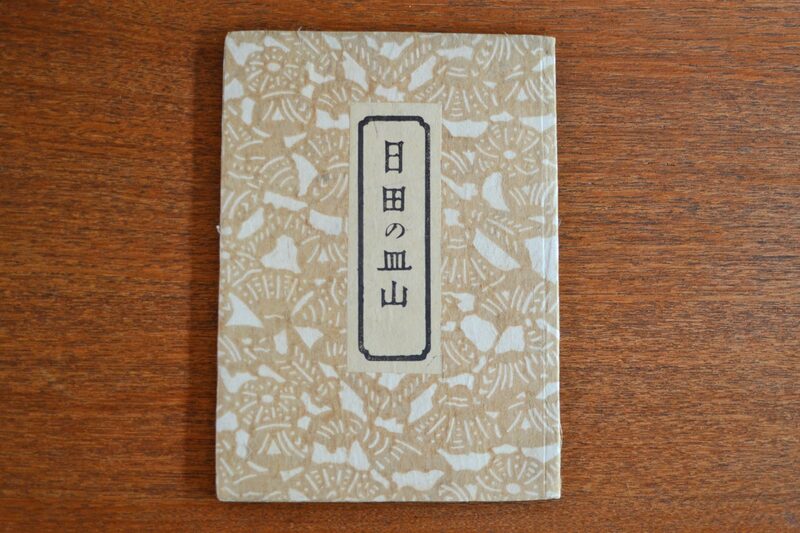 * “Nabeshima” by Motosuke Imaizumi (Tokyo; Kodansha International, 1981) was used as a reference for this blog post. 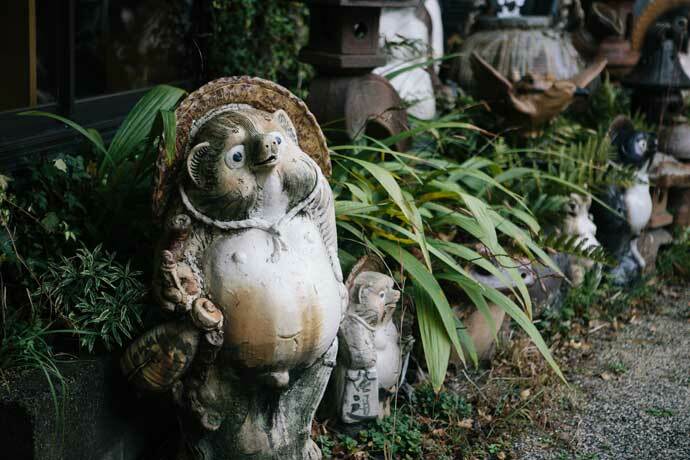 Japan has a historically rich and vibrant ceramics scene, but much of it is local and barely known beyond its shores. 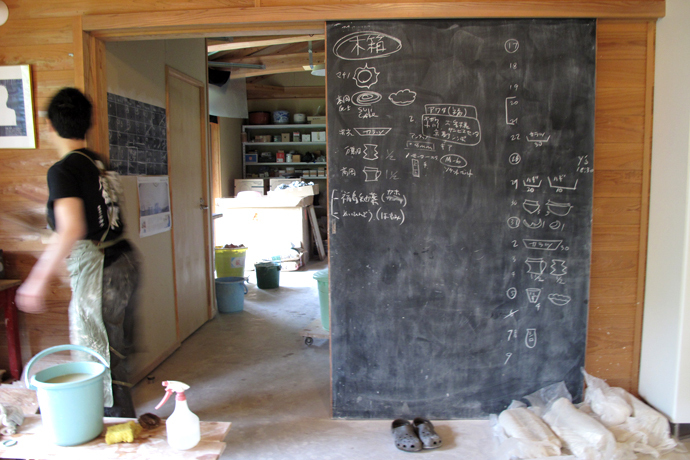 Stepping foot into this other world requires going to the pottery towns and other out-of-the-way places deep in Japan’s interior, which is what we at Studio Kotokoto find especially intriguing and rewarding. 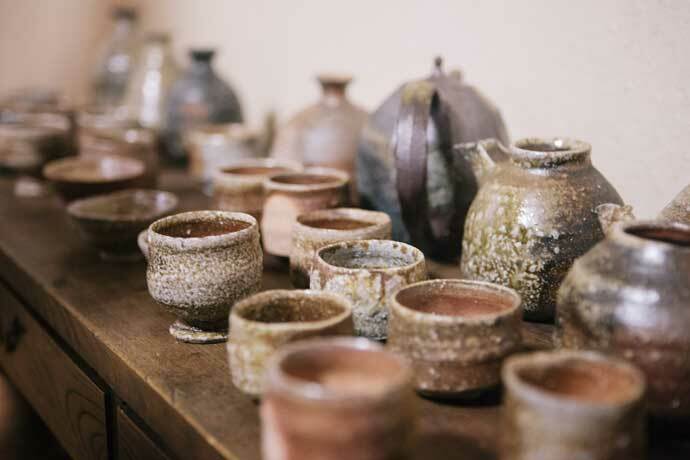 This past spring, I visited the annual ceramics festival in Tajimi in Gifu Prefecture. 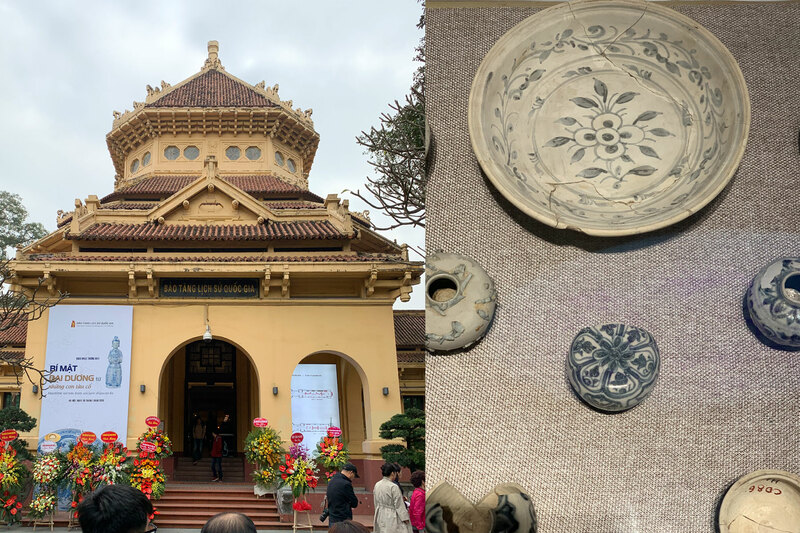 It was my first visit to a ceramics festival being held in the hometown of Mino pottery, which is renowned for the green copper glazed Oribe and soft white glazed Shino style wares. 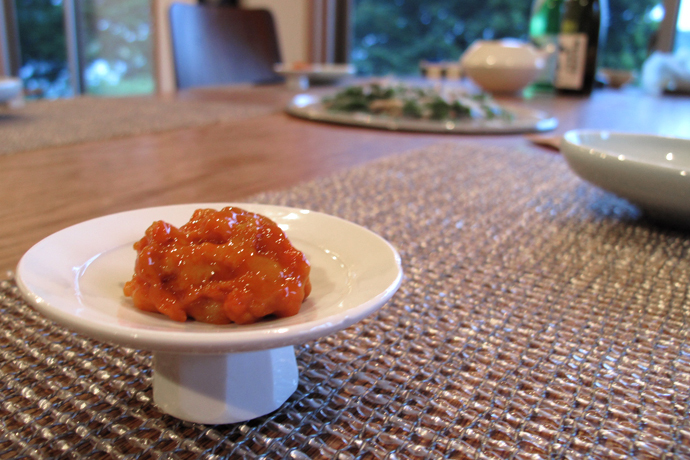 Narumi Oribe plate by a student from Tajimi Technical High School. 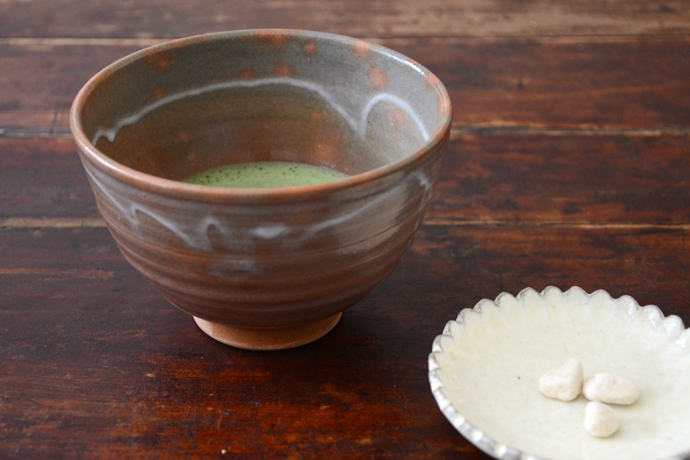 It tastefully represents the traditional Narumi style, which is made using two clay bodies: white clay with green glaze, and red clay with white slip and vivid geometric designs. 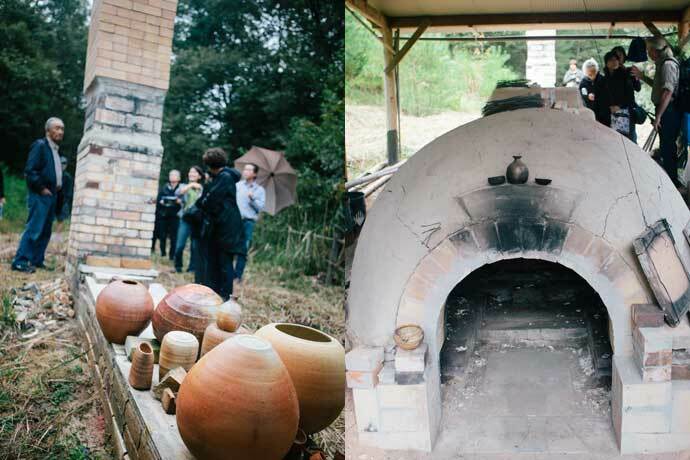 Mino pottery dates back to the 7th and 8th centuries with the production of Sue ware (or Sueki). 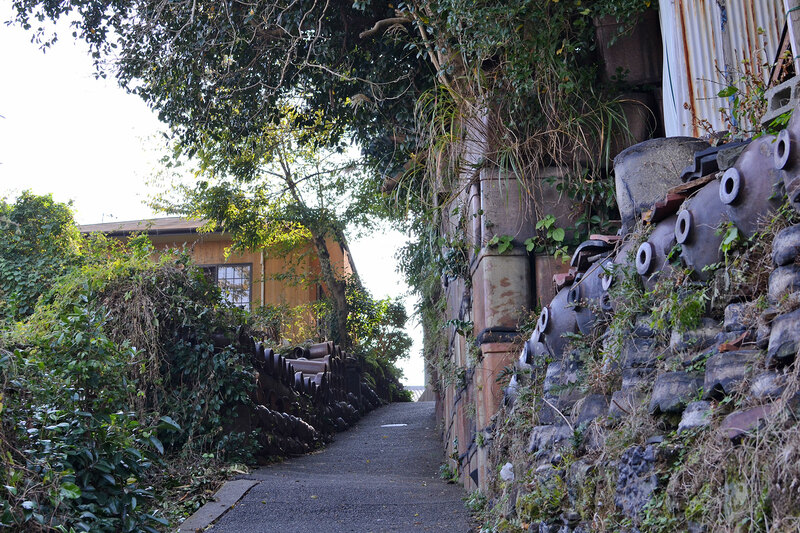 The remains of ancient kilns that produced these ceramics can still be found in the neighboring town of Kakamigahara. This region became well known in the 16th century for its Oribe ware, named after tea master and warrior Furuta Oribe who was a Mino native. 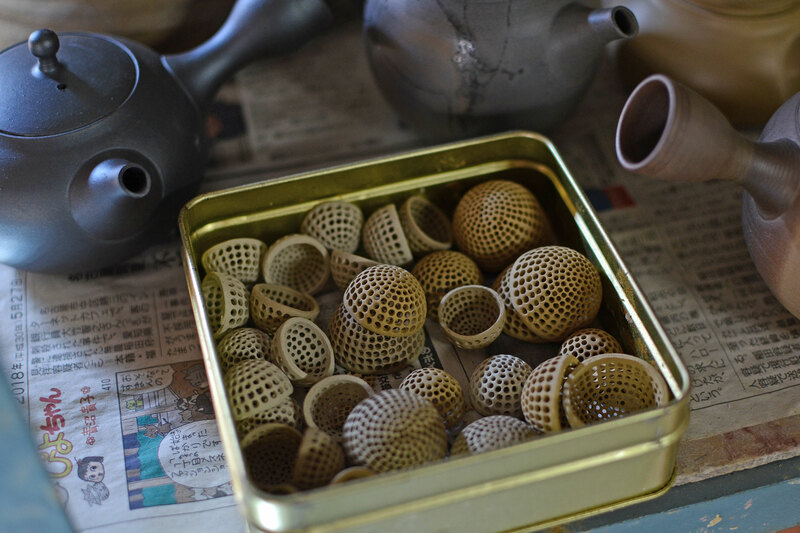 Capitalizing on its fame as a center of aesthetic pottery, Tajimi and the surrounding area of Touno have risen to become the largest ceramics-producing region in the country. 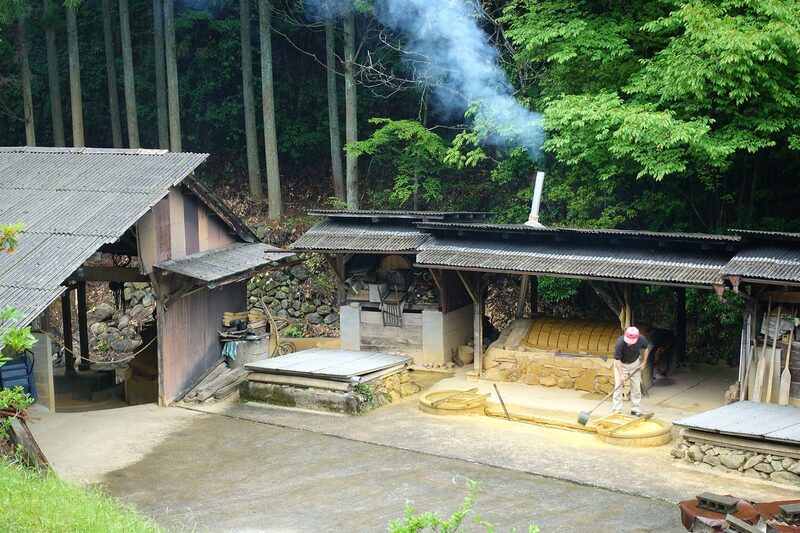 Around half of Japan’s ceramics and tiles currently come from this area. 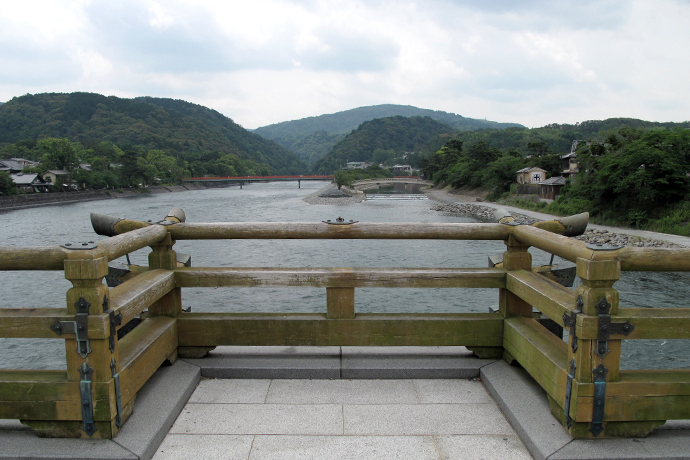 The banks of Toki river that runs through the town of Tajimi are adorned with tile mosaics. 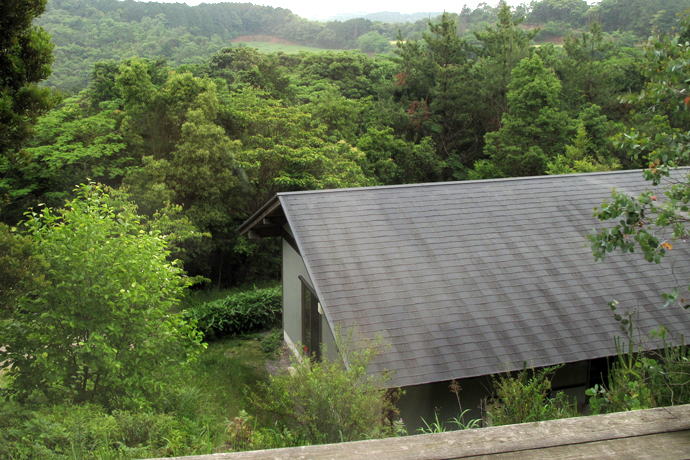 Tajimi is the biggest producer of ceramic tiles in Japan. 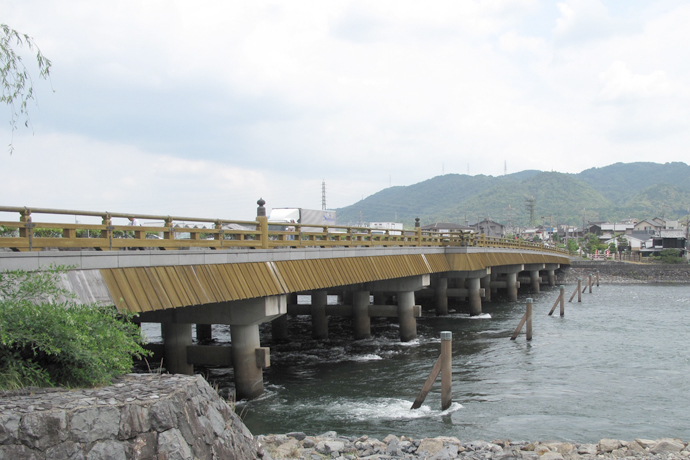 As Tajimi is only a short 30-minute ride by fast train to the north of Nagoya, the largest city in Chubu region, it has also become a sprawling commuter town. 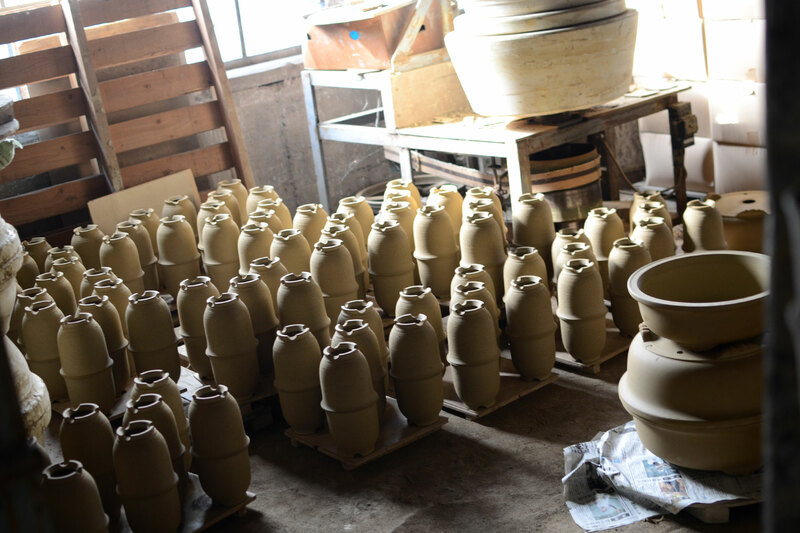 Overseas, Tajimi is perhaps best known for its International Ceramics Festival, which is a triennial event that features a world-class ceramics competition funded by numerous local government organizations and ceramics associations. The show that I went to see, though, was a local event that Tajimi hosts annually. When I got off the train at JR Tajimi station on a bright spring morning, there were people handing out detailed maps and information about the ceramics festival and local attractions. The atmosphere was festive with all sorts of events taking place. 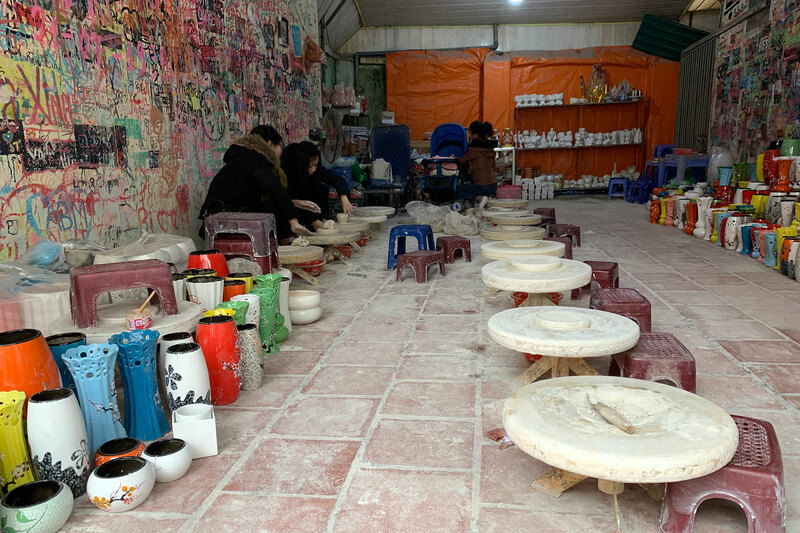 There were wheel-throwing pottery demonstrations, performances by local school orchestras, and plenty of entertainment for families with small children. The entrance to the arcade hosting Tajimi Creator’s Market. 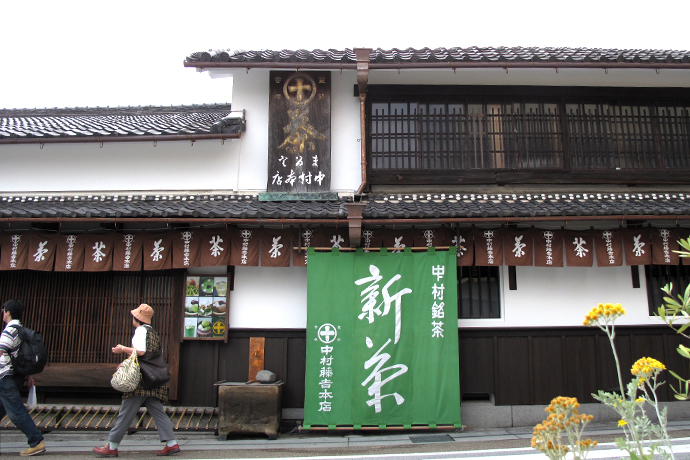 My main purpose for visiting Tajimi was to see the Tajimi Creator’s Market, a small arcade of stalls organized by graduates of two local pottery schools in Tajimi called Ishoken and Tajimi Technical High School. 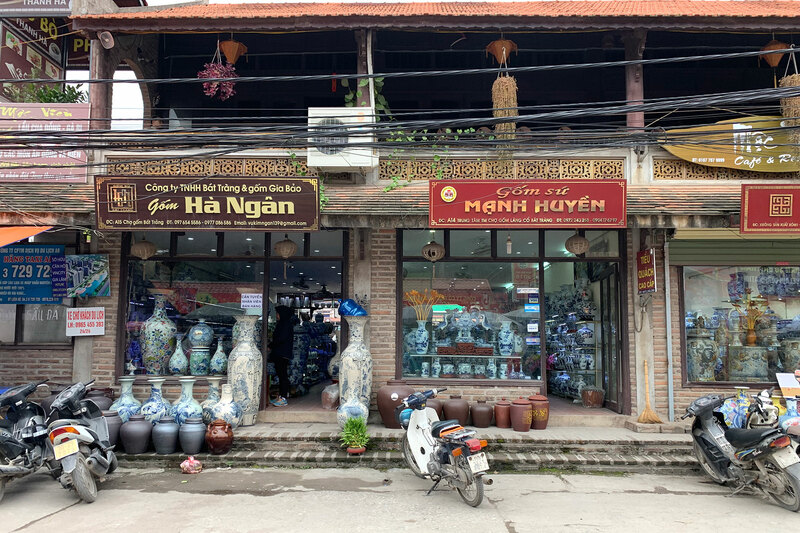 This market was started 5 years ago as a venue to connect fledging potters working in the Touno area with end users. I arrived in the early morning hoping to beat the crowd in order to see the best selection of work on offer and to meet many of the talented young potters on display. There were around 50 potters showing their work in the Tajimi Creator’s Market, but even though I got there early, the arcade was already quickly filling up with people. According to one potter, the number of visitors that their event attracts has been growing every year. 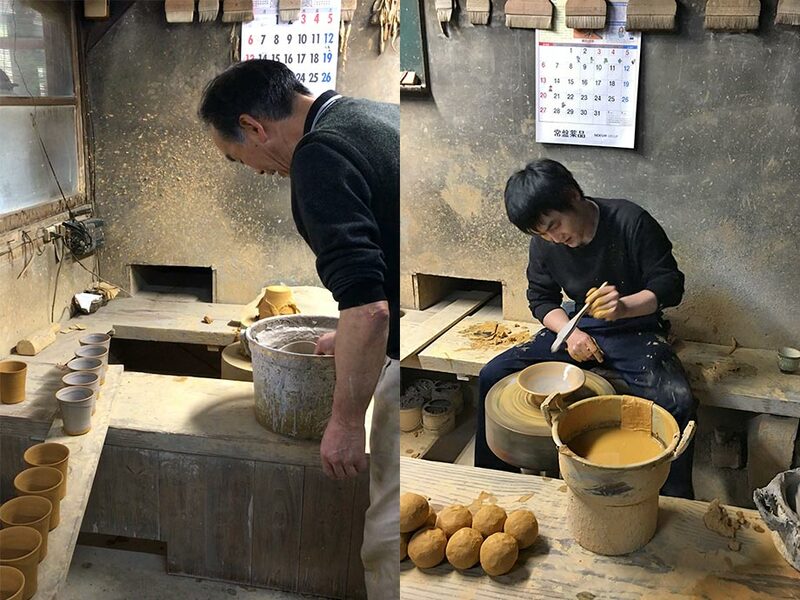 Nonetheless, I had a very rewarding time in finding an exciting young potter that we look forward to introducing on Studio Kotokoto in the near future. A stall selling Oribe style pottery on Oribe street, the main thoroughfare of the festival. After visiting the Creator’s Market, I made my way to Oribe Street, which is the main artery for the ceramics festival. The most significant difference between the Tajimi ceramics festival and the various craft fairs that I have visited elsewhere in Japan is that this festival hosts stalls operated by local stores selling Minoyaki at discounted prices. 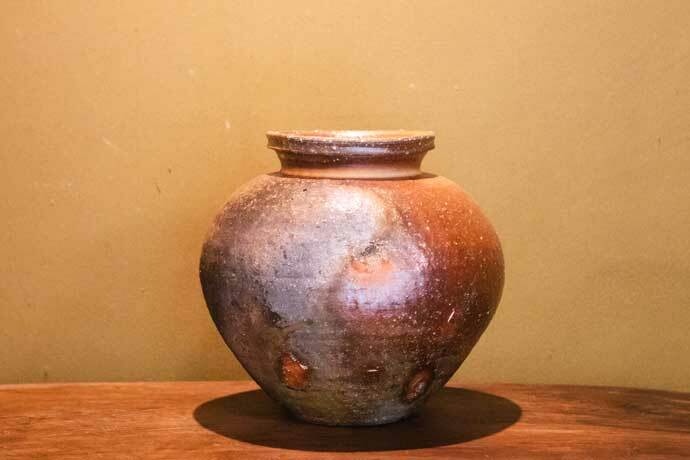 So if you know what you are looking for, this is a great opportunity to acquire beautiful Mino pottery at affordable prices. Tajimi Oribe street lined with vendors selling pottery. On my way back to the train station, I came across a pottery stall run by several current students of Tajimi Technical High School who were helping to raise funds for their school. 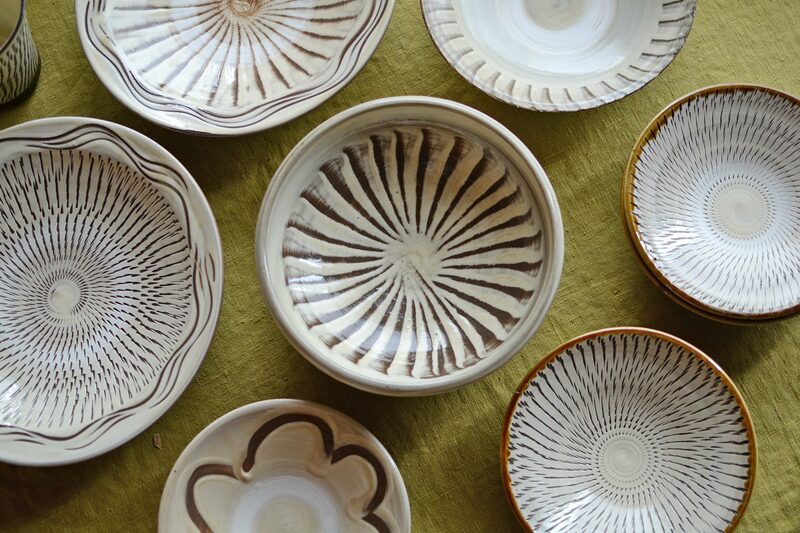 The pieces were so well made and beautiful that I picked up a piece of Oribe ware to take home. 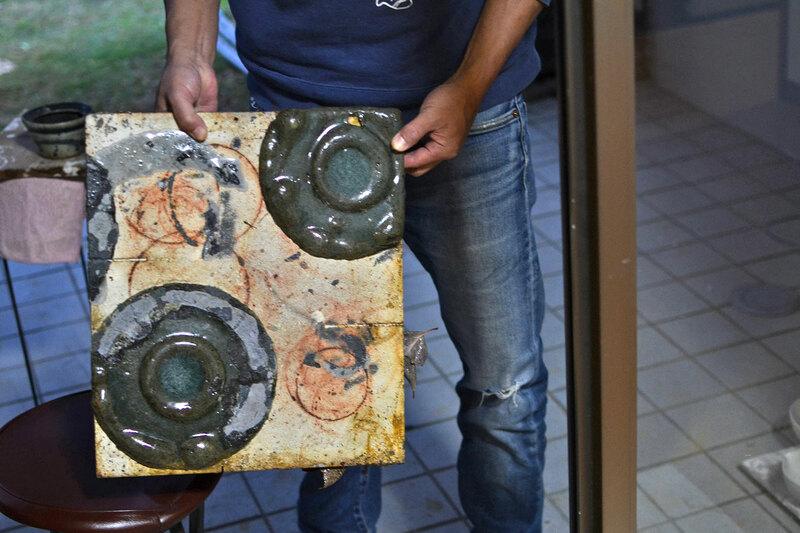 Even the manhole covers of Tajimi feature ceramics. 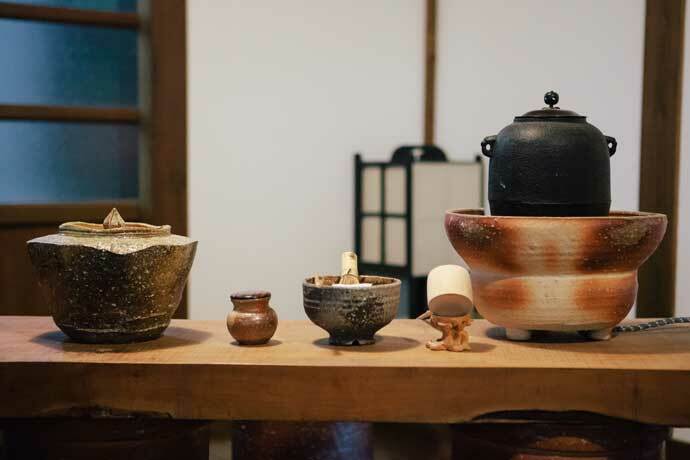 It is clear that Tajimi considers its ceramics heritage as an important part of its identity. 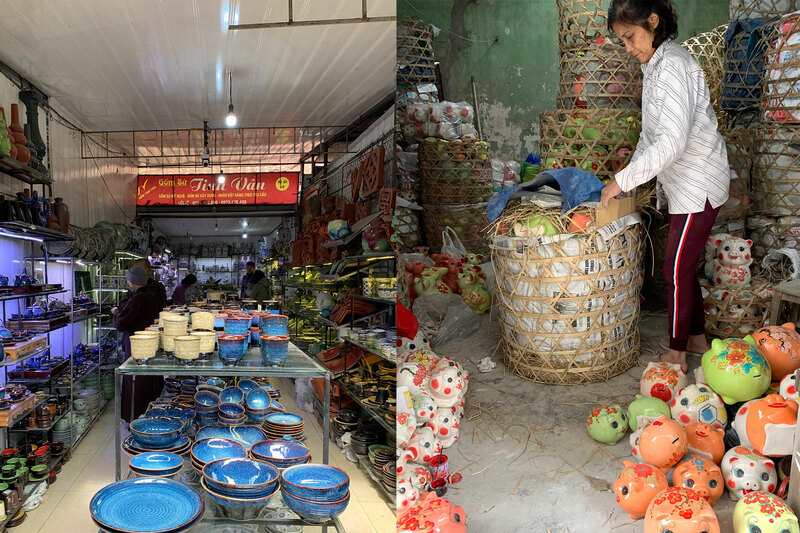 As I continued my walk back to the station, I thought about how difficult it must be for the budding potters that I came across at the beginning of their careers to be able to make a living in our fast-paced world. 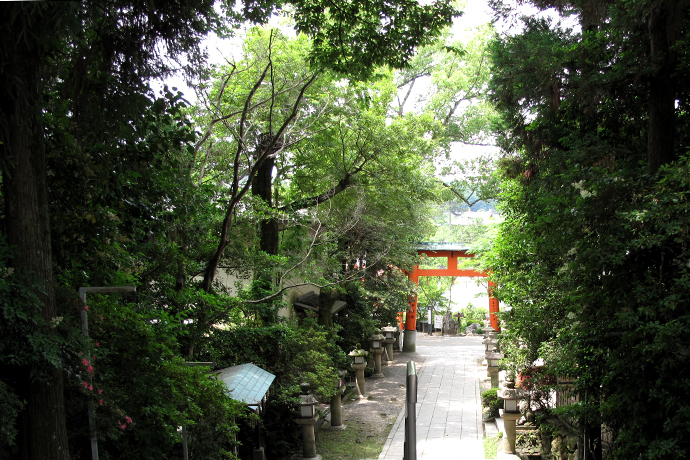 But these young artists residing in and around Tajimi have an important advantage. 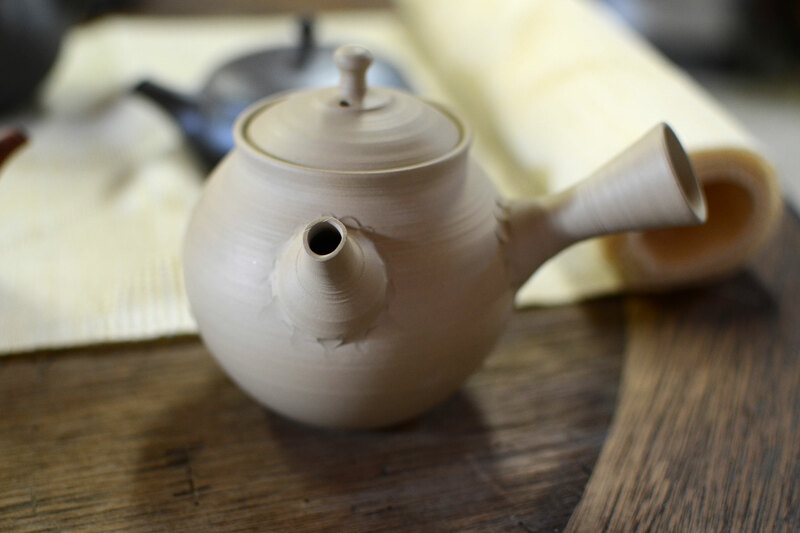 The Tajimi show was put together by the local community –from the local government to schools and businesses- to promote and support the local craft industry. 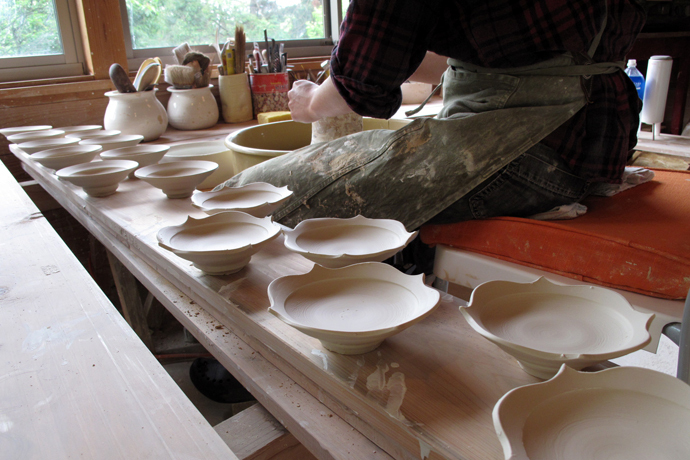 There are few other places that I know of that goes to such great lengths to aid its ceramic artists. 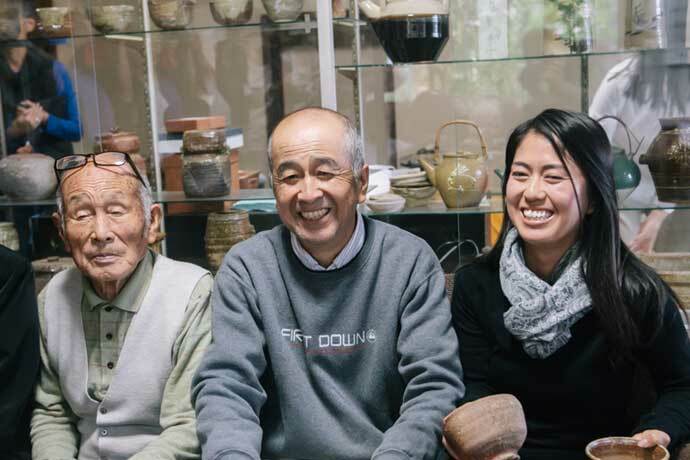 After 13 centuries, the old pottery town of Tajimi continues to be a nurturing and inspirational starting place for future aspiring potters.